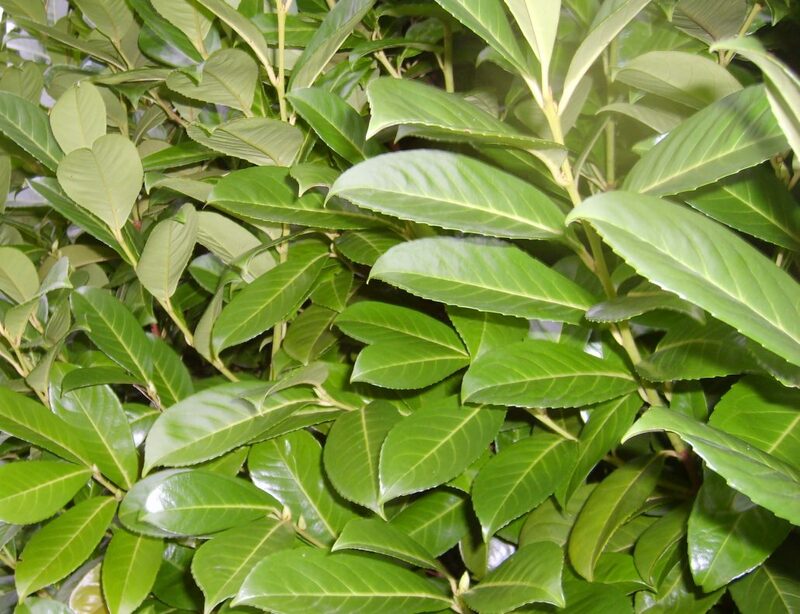 Common Laurel (Prunus laurocerasus ‘Rotundifolia’) is an evergreen shrub that makes a bright, dense hedge. 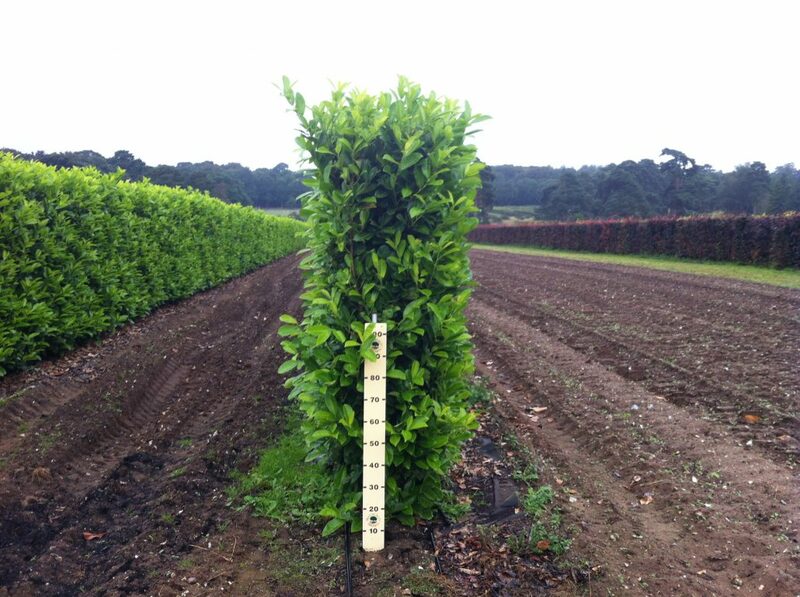 Also known as Cherry Laurel, it’s shiny Lime green leaves are thick and leathery, providing perfect evergreen screening. 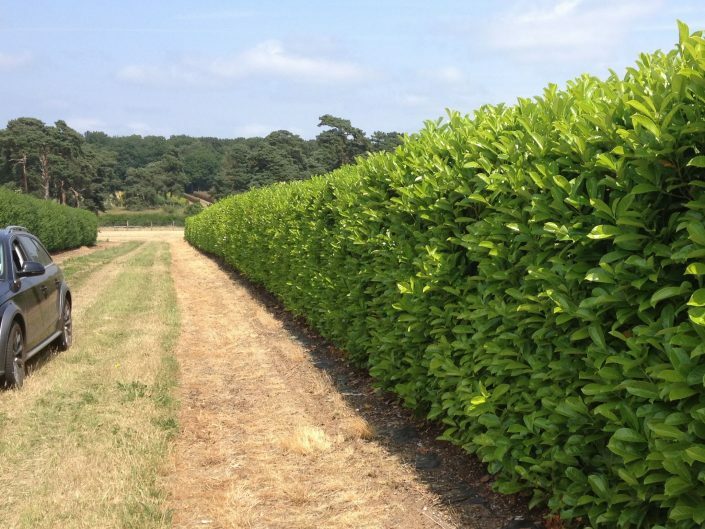 A Common Laurel Instant Hedge is also a good choice if you are looking to reduce noise levels, for example, from a busy road. 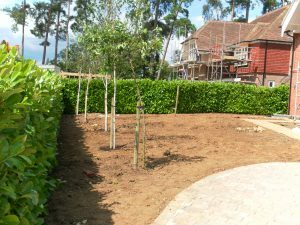 The ideal situation for this evergreen hedging is in nutritious soil that is not too heavy and is happy in sun or shade. Prunus laurocerasus will thrive in most soils, including clay, but it dislikes (shallow) chalk when Portuguese Laurel would be perfect. 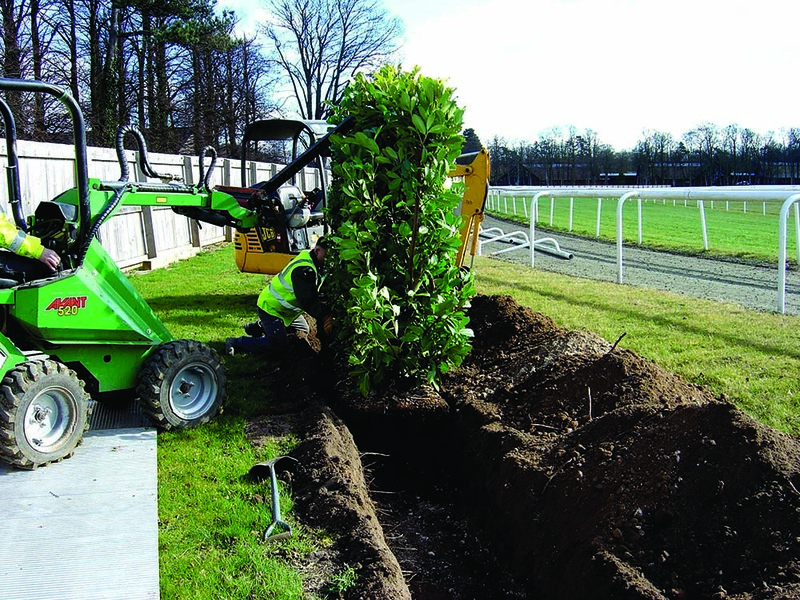 A Laurel hedge is fast growing (30 – 40 cm/year) and should be trimmed at least once a year, in July or August.